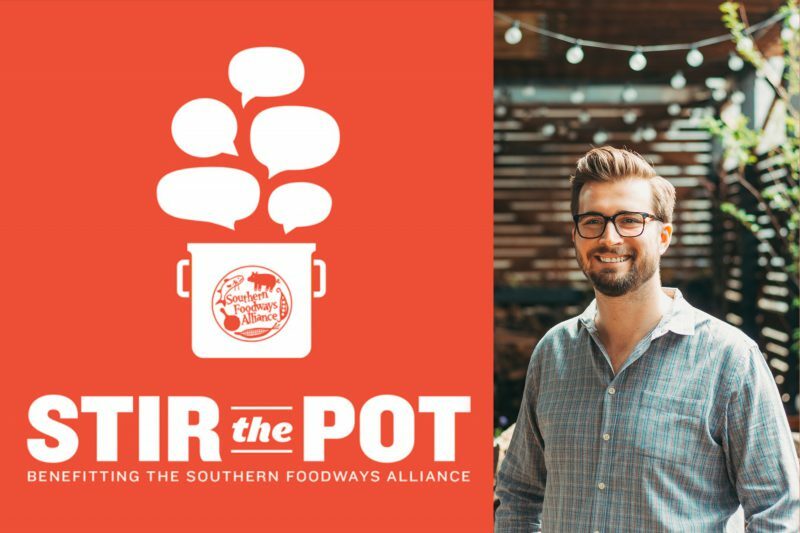 Our dinner series, Stir the Pot, which benefits the Southern Foodways Alliance’s documentary initiative, returns this spring at Death & Taxes. Join us on Sunday, April 7th for a five-course meal with wine pairing by chef Jeremiah Langhorne. Tickets are $150 and available here. Jeremiah Langhorne is chef and co-owner of The Dabney, located in Washington, D.C. In 2018, he won the James Beard Award for Best Chef: Mid Atlantic, and The Dabney was awarded a Michelin star in 2016, 2017, and 2018. Langhorne worked all over the world, from Charleston to Copenhagen to the mountains of Colorado, before settling in D.C.
Needless to say, this is going to be a phenomenal night, and all in support of one of our most cherished organizations. Join us for Stir the Pot!